The Compact series by Sony used to occupy a niche of its own as it combined top-of-the-line specs with a pocketable footprint. The latter is still very much true for the just released Xperia X Compact, but it no longer has the flagship specs that we're used to. Instead, the Xperia X Compact is pretty much what it says on the tin - it's a Xperia X - essentially, an upper-midrange phone - but shrunk in size. Is this the end of the mini flagship as we know it? Well, while we can't quite rule out another shift in product strategy down the line, for now, this very much seems to be the case. Inside the latest Xperia X Compact ticks an upper midrange chipset. The Snapdragon 650 is a solid SoC, and shouldn't have a hard time powering the smartphone. Most importantly, there hardly is a better specced compact midrange smartphone, and we're okay with how the new product is positioned. We would sorely miss the dust and waterproofing, though. To be fair, the Xperia X Compact does share some of its flagship sibling's premium features. First among those is the improved 23MP camera with predictive hybrid autofocus that employs a combination of laser, phase detection and contrast detection in its focus system. Just like with the Xperia X, a glaring omission on the X Compact spec sheet is the 4K video recording. But we couldn't have expected things to be otherwise, could we? Speaking of spec sheets, it's perhaps the appropriate time to see what the Xperia X Compact has to offer. You do get a USB Type-C port, only to be found on the flagship in Sony's lineup, and the stereo speakers are here to stay. The 2,700mAh battery is probably more than you need considering the screen size, so the Compact will likely impress in that department. 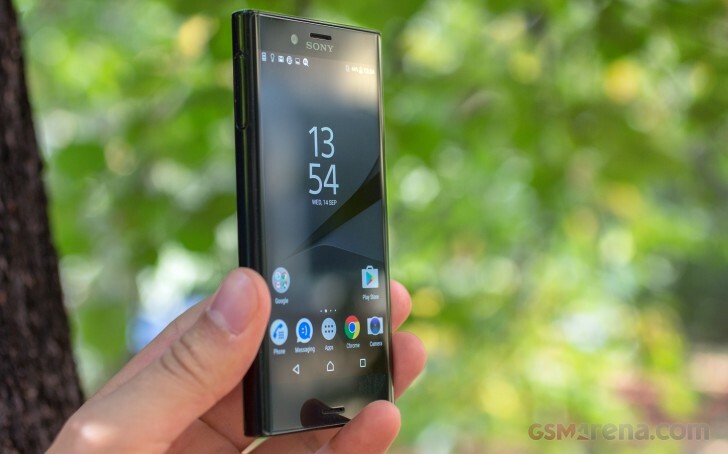 Sony does acknowledge that the Xperia X Compact isn't quite the flagship the older models were and has an adjusted price accordingly - the X Compact launches at about £70/EUR€100 lower than the Z5 Compact, which came out last year. However, the previous generation has been discounted since, and sells around the X Compact's launch price, so that is shaping up to be a tough dilemma. We'll be attempting to solve it over the next few pages, and we'll start as usual with an overview of the Xperia X Compact's hardware and exterior.